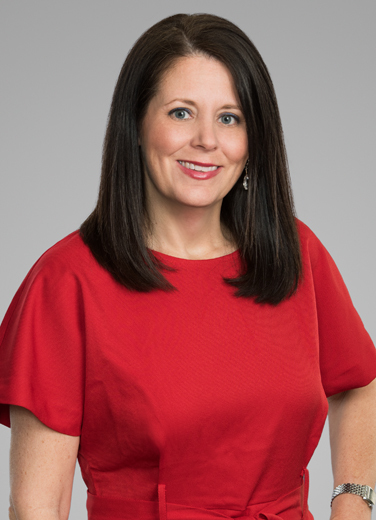 "I am very detail oriented, and clients rely on my ability to successfully manage complex litigation matters and resolve complicated procedural issues." Nora Bilbro represents clients in toxic tort matters, class action defense, mass tort litigation, insurance coverage and defense litigation, and property damage, premises liability and product liability litigation. Clients seek her experience with complex procedural litigation issues, from jurisdiction to appeals. With deep experience in the chemical manufacturing arena, she has represented clients in class action suits involving releases of various chemicals, incidents that generally result in thousands of claims for personal injuries, property damages, business interruption and inconvenience. She also represents chemical manufacturers and other premises owners in defense of claims for occupational exposure, including claims for hearing loss, asbestos related diseases, and benzene exposure. Defending a multinational chemical manufacturing company in a mass joinder suit, resulting in the dismissal of all eighteen plaintiffs’ claims at trial. Nora defeated class certification and then significantly reduced the total number of subsequent mass joinder claims through discovery and prescription motions in a Calcasieu Parish chemical exposure case. Nora obtained supervisory relief from the Louisiana Third Circuit Court of Appeal, where the appellate court reversed the judgment of the lower court and dismissed the plaintiffs’ claim for punitive damages arising from claims for chemical exposure. Representation of insurance companies in defense of Hurricane Katrina claims, including issues involving the water damage exclusion, Valued Policy Law (VPL) and adjustment practices. Representation of insurance companies in defense of first party property damage and bad faith claims. Representation of insurance company in defense of a suit by a Louisiana legislatively-created body asserting claims for breach of fiduciary duty and fraud. Representation of numerous chemical manufacturing companies in defense of class action cases involving the release of various chemicals. These incidents generally result in thousands of individual claims for personal injury, property damage, business interruption and inconvenience. Representation of insurance companies in defense of Hurricane Katrina claims, including issues involving the water damage exclusion, Valued Policy Law (VPL) and adjustment practices, and other first party property damage and bad faith claims. Representation of product manufacturers in products liability litigation involving industrial accidents, property damages and other serious personal injuries. Representation of various chemical manufacturers and premises owners in defense of claims for occupational exposure, including hearing loss and asbestos claims. Representation of retailers and other premises owners in defense of personal injury claims. Representation of insurance company in defense of class action for personal injuries due to exposure to mold.